If the Sackler family isn’t on your radar, they might be soon: in a major and very different approach to fighting the War on Drugs, the Massachusetts Attorney General has implicated the Sacklers as a responsible party in the American Opioid Epidemic. How is this possible? How did a small group of people end up responsible for the deaths of thousands, possibly dozens of thousands? The answer is hardly a simple one – the American Opioid Epidemic, as with any other epidemic is a layered and nuanced conversation, and one that deserves everything in the way of proper historical context. A long journey to sobriety and a sense of normalcy begins with a person who is ready and committed to changing their thinking and behavior, but the need for recovery starts, always, with a dangerous habit. While opioid drugs aren’t the only dangerous drugs on the street, they are, like meth, infamous for their highly addictive nature, blissful high, and terrible side effects. The Sackler family, though, wasn’t interested in the highly-illegal-though-highly lucrative methamphetamine trade. Instead, they reached for the original pain reliever, once known the world over as a recreational drug, opium, though not in its pure form. The Sackler Family, of course, is far from the only agitator of the crisis; what they have shown, though, is that, where sales of their OxyContin are concerned, they have been ruthless in promoting and setting sales goals that reflect aggressive marketing by sales reps more interested in bringing higher profits than healing more patients. Why Would a Family Poison a Country? There are allegations by both the Massachusetts Attorney General and by a study conducted on the Sackler businesses that growing their business, not healing, was the focus, and there are some facts that are both astounding and suspicious. The company grew from a wealthy $48 million in the mid-90s to the ultra-wealthy $1.1 billion by 2001. During this period of time, the Sackler Family drug, the potent OxyContin, was pushed during expensive, sometimes luxurious conferences to which physicians, nurses, and pharmacists were invited. There were also a number of people whose experiences in the sales field focused on taking orders for the drug, not on identifying patients in need of extreme pain relief. When the value of the company tipped the one-billion mark, sales grew more slowly, and the higher ups, including the founder, Richard Sackler, became discontent and frustrated with the slow growth. Despite the company being valued at over one billion dollars within the few years of the new millenium, it didn’t seem to be enough. Sackler pushed his staff to produce more prescriptions, meet more physicians, and make more and more sales. According to some sources, sales reps for slower territories who weren’t able to thoroughly win over area doctors were fired. Apparently, entire sales districts were failing in the early 2000s. This push, though, began to pay off for the company, financially speaking, around 2011, and then, there was the explosion: not only did the company’s valuation begin to rapidly rise as it did in the 1990s, but the secret was that, around 1999, The Sackler Family, through their company, Purdue Pharmaceuticals, took OxyContin to the non-malignant pain market. Originally created for extreme pain, mostly associated with cancer, OxyContin was created to ease pain, as well as some of the psychological effects of extreme pain, offering patients a euphoric experience on top of easing pain. Entering a wider market meant more access to more patients, and ever more prescriptions. As Purdue grew larger and more powerful behind the power and growing pervasiveness of OxyContin, rehab clinics, research teams, and law enforcement began to notice something strange and frightening: people were becoming addicted to OxyContin, and the repercussions were horrifying. Oxycodone is the active ingredient in OxyContin. For so many people, a powerful and overwhelming addiction to opioids started with Oxycodone. Statistically, a person who abuses prescription opioids are almost guaranteed to abuse street drugs. Oxycodone is an opiate, processed from poppies grown to supply opium. Opium poppies today can be found all over the world, but the numbers of poppy fields are highest in the Middle East, and in some pockets of Latin America, placing them within reach of prescription drug manufacturers as much as drug cartels and terrorist organizations. 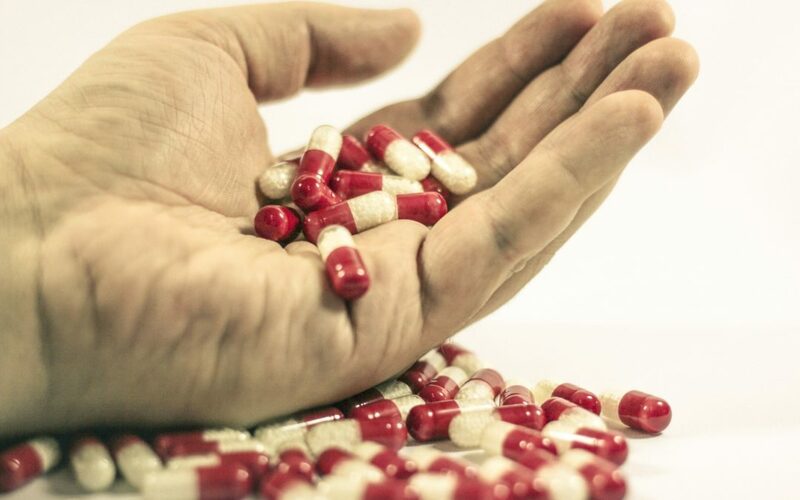 Since the abuse of prescription drugs almost always paves a path to the abuse of street drugs, close monitoring of a person using these medications is a good and necessary step to protect the health of a patient. Part of the allegations against the Sacklers by the Massachusetts Attorney General is that in blind and endless promotion for OxyContin, this was not only about profit, but flagrant irresponsibility to flooding an already-saturated market with a drug against whose addiction no one can rightfully stand. This lack of responsibility taken for public health is at the center of the Attorney General’s complaint, and subsequent implication of the wealthy family. The Attorney General also alleges that the family intentionally misled everyone about the high risk of addiction associated with the powerful drug, and the following crisis that began in one of the company’s most profitable years, 2014, when overdose deaths in the United States, reached an historic high. For many people living with addiction, it began with extra drinking, or abuse of prescription drugs. OxyContin was highly abused, but has been beaten out by Fentanyl for the past few years as one of the largest causes of overdose deaths. For others, it started with heroin, which is considered by some to be more addictive than OxyContin, but less powerful than the dreaded Fentanyl. People who become addicted to Oxycodone frequently turn to their cheaper, readily-available street-borne alternatives like heroin, creating a huge, dangerous problem that kills dozens every couple of hours. Part of the fight against organizations like the Sackler-run Purdue Pharmaceuticals is rehab – the fewer people that demand the drug, the less that will be manufactured. Another weighty part of the fight is prosecuting people like the Sacklers – essentially, criminalizing the creators and distributors who directly contributed to one of our most toxic social ills. Getting help in this fight doesn’t mean that you are alone, and calling a reputable rehabilitation center can put you on the right track.